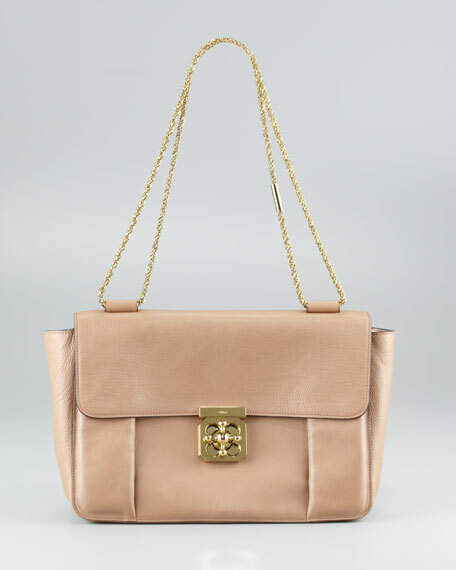 The tinker-style turnlock adds a quaint look to the Chloe Elsie shoulder bag . 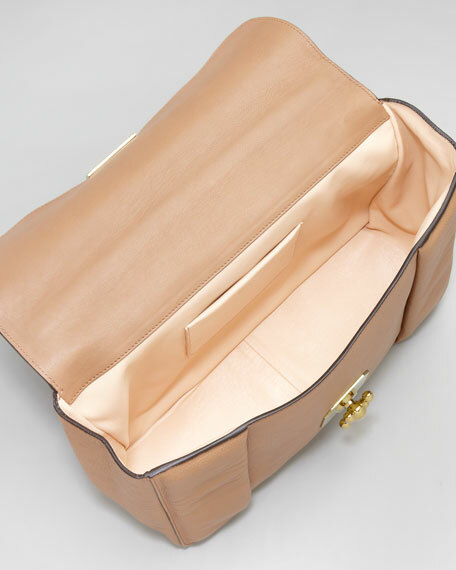 Smooth calfskin with tonal topstitching and golden hardware. Dual suspension chain shoulder strap; 12" drop when doubled; 20" single-strand drop. Front flap secured by tinker-style, spinning turn-lock. 9"H x 12"W x 4"D; weighs approx. 1lb. 8oz. "Elsie" is made in Italy.